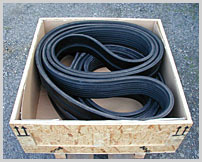 Haul-off belts for heavy-duty, conveyor belts and rubber parts, customized to your specifications, are our expertise. In the year 1973 our company has been founded in Viersen (West Germany) as an engineering consultancy company and focused on haul-off-belts from rubber since the very beginning. The combination of elastic surface with strong reinforcement layers endlessly made of different materials offers high flexibility in application and long life of the belt. In 1995 the company moved the headquarters to its present address. Over time, Antriebs- und Foerdertechnik added its portfolio and today also supplies special components made of rubber besides haul-off-belts from rubber and PVC. 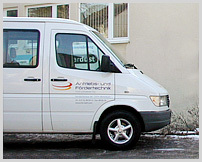 As a highly specialized company, our clientele is located in Germany as well as abroad. 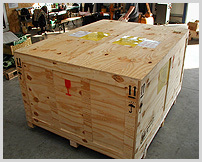 Worldwide we are supplying to more than 40 countries! Keeping due dates and being most flexible applies to our mission! Challenge us, it will be a pleasure for us to be at your service!